Nike and Gatorade have Tiger Woods' back. As the fallout continues over Tiger Woods' late night car crash, and the public – and police – await details from the pro golfer over what really happened, the companies shelling out big bucks to Tiger are standing firm with their support. "Tiger and his family have Nike's full support," a spokesperson for Nike, which Tiger endorses, said in a statement on Monday. "We respect Tiger's request for privacy and our thoughts are with Tiger and his family at this time." Sports drink giant Gatorade, for which the golf superstar also stumps, spoke out lending their support as well to their pitchman. "We wish Tiger well as he recovers and look forward to seeing him back on the course soon," a statement from Gatorade said. "Our partnership with Tiger continues." While his golf game has made him an international icon, the money he makes on the course doesn't come close to his endorsement dollars. Although Tiger earned a reported $23 million in winnings on the PGA Tour in 2008, his endorsement deals brought in an additional $105 million last year, according to Sports Illustrated. In September, Forbes announced Tiger had become the first athlete to earn $1 billion over the course of his career, which began professionally at the age of 21 in 1996. In 2000, after four years on the PGA Tour and several championships already to his name, Tiger signed a 5-year, $105 million contract extension with Nike. It was reportedly the largest endorsing deal ever signed by an athlete at that time. Besides Nike and Gatorade, Tiger also has various current endorsement deals with companies including AT&T, American Express, Gilette, EA Sports and Tag Heuer. 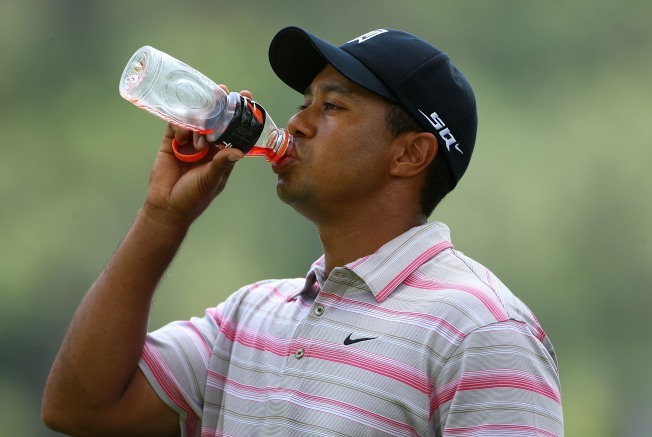 AH NATION: Should the incident affect Tiger's endorsement deals? CLICK HERE to sound off!